I wrote my first book when I was five or six years old – it was called Fast Cathy (!!) and it was about a girl who ran races. It had ten chapters, each chapter about one page long and ending “Cathy won the race again!” I’ve been writing ever since. I might have more seriously considered other vocations if I had any talent at all for anything else, but I don’t, so writing stories has always been it for me. It depends on the book and on what else is going on in my life. JULIA VANISHES was written in stolen moments when my kids were tiny - from idea to completion it took a few years. I think I once estimated about 36 000 minutes. 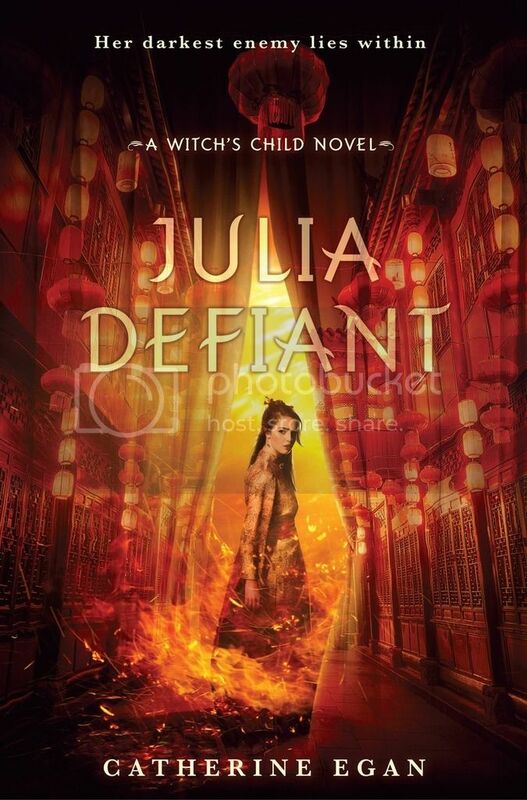 JULIA DEFIANT and the third Julia book each took close to a year from outline to finish - by then my younger son was in preschool and I had a block of time in the mornings in which to write. This year, both my kids were at school until 3 every day, and I’ve drafted two novels and half of a third. I don’t think that rate of productivity is sustainable, but I had a lot of ideas bottled up, and a lot of time. I don’t consciously think of themes. If the germ of an idea develops enough that I make an outline, some sense of the themes will emerge then, but I’m often surprised, when a draft is done, to see what I was really writing about. This year I wrote a revenge story that I initially thought was about family but I think is actually about ambition, and I wrote a historical fantasy that was meant to be about obsession and a father-daughter relationship, which it is, but loneliness and the costs of emotional / physical deprivation emerged as major themes as well. I like to write in the mornings. As soon as I drop my kids off at school, I take a walk to get my brain moving, then I go home and make coffee and start. Everything else has to wait until the afternoon. My writing gets my best, freshest, most caffeinated brain time. Right now my kids go to school and I don’t have another job, so this balance is easier than it has ever been or likely ever will be again. I’m trying to bask in this golden period while I have it. Before I had kids, when I was working and also traveling a lot, writing was something that happened in intermittent bursts. 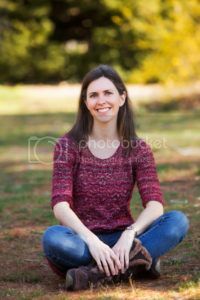 After I had babies, writing felt more necessary than before, but it was kind of an act of desperation in whatever minutes I could scrape together. At some point down the line, I imagine the balance will need to be reinvented all over again. It can be hard, even when you have time to write, to move from deep immersion in a fictional world to being fully functioning and attentive in your real life. My kids, husband and friends are all sadly used to me sometimes being only half-there. I’ve never found it easy to bounce quickly between writer-me and the rest of me. For me it is all about the character relationships. I can appreciate a clever plot twist and beautiful writing, but what I really want to read about is just humans being human and interacting with other humans. Everything I write hinges most crucially on the relationships between the characters. I don’t think there is one hardest thing. Each book has its own hardest thing, and you never know what it’s going to be until it trips you up. Including JULIA DEFIANT, I’ve written five published novels. I have so many drafts and half-drafts at different stages – things I’ll never go back to, things I’ll salvage for parts and reinvent, things I love and that I hope will be published, things I wrote forever ago and barely remember. I’m not sure I can make an accurate count. My favorite book is, of course, always the one I’m about to start. This is something that shifts, but right now, in my published books, I’ll go with Pia, the creepy villain from the Julia books. Though the real answer is Pia-in-relation-to-Julia, or Julia-in-relation-to-Pia. The complicated Pia-Julia bond took over more with each book in the trilogy. At my kitchen table at home during the week, and in cafes for an hour or so on the weekends. I never considered self-publishing or hybrid publishing. I just don’t have the skills. Traditional publishing always seemed the only plausible route for me, given my strengths (writing) and weaknesses (everything else). Nobody in my family reads YA fantasy except for the stuff I write, which they read out of loyalty. They are generally polite about my weird stories, sometimes more enthusiastic than other times! Before I had kids, travel was my big fix. Now that my kids are a little older I find I’m starting to plot out trips we might take again. The planning alone is a thrill. Reading, of course. And when I can squeeze in an uninterrupted conversation with another adult, ideally over food and / or drinks, I’m very happy. I never take anybody’s advice and I don’t think anybody should take mine, either. Having said that – the only really essential thing, and you’ll hear it again and again because it’s true, is that you can’t be a writer if you aren’t a passionate, voracious reader. So – read read read, and if you want to write, start writing! If you keep at it long enough, you’ll figure out what works for you, or maybe you won’t, I don’t know. Have I figured anything out at this point? Hard to say. A few favorites at this moment in time – Helen Oyeyemi (in particular WHAT IS NOT YOURS IS NOT YOURS), Karen Russell (VAMPIRES IN THE LEMON GROVE is one of the best story collections I’ve ever read), Elena Ferrante (her Neapolitan novels shook me to my core), Kazuo Ishiguro (who breaks my heart in new and painful ways with every book and yet I always come back for more), and Sarah Waters, plot-genius and wordsmith beyond compare. My most recent discovery is Min Jin Lee – I’ve seen her compared to Dickens and I’m just going to go ahead and say she’s better. I know authors who say they can’t read fiction while they are drafting something but fiction is like food and fuel to me. I don’t know that I can pin down inspiration – the drive to make stories goes back as far as my memory – but I have no doubt that its roots reach into everything I read. I don’t like to show anybody anything until I have a fairly polished draft, though my husband is a good person to brainstorm with. Once I’ve written something, my beta readers are my line of first defense, and then I send to my agent. Of course! What would I do, who would I even be, if I didn’t have a story or two or three on the go? I’m always working on something. I like to knock out a draft and then let it sit while I work on something different, so that when I come back to it I have (somewhat) fresh eyes. Right now I’ve got a couple of drafts at various stages of revision and I’m working on something brand new that might actually be sci fi, centering on the friendship between a spy and a collaborator in a wartime factory where a special weapon is being manufactured. 1. Seeing my older kid immersed in a book. He didn’t have an easy time learning to read, but it eventually clicked and I love to see him devouring all these awesome books now. 5. Getting the call from my local bookstore saying the books I ordered have arrived. 2. Being so far away from so many people I love. 3. Seeing kids who feel excluded or at a loss for how to deal with something. 5. The hopelessness I feel faced with the current state of the world, the political polarization that feels more and more like an unbridgeable gulf, the utter pointlessness of everything auuugh I knew it chasm-of-despair I shouldn’t have started! One of my works-in-progress is set on a fictional Shetland island, so I do plan to visit the Shetlands. I also have an idea that I haven’t yet started outlining set in Tokyo, where I lived for many years, but if I write it I will definitely need to go back there for “research” (and sushi). Thanks so much for being here today, Catherine!